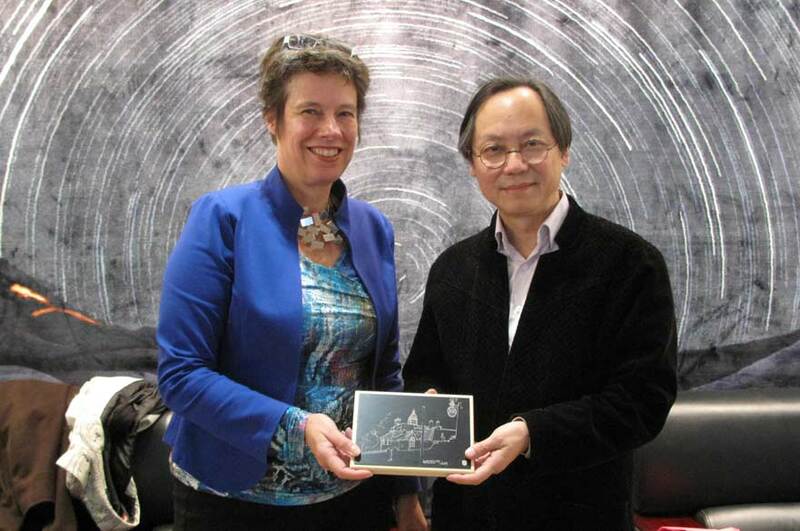 Marjolijn Brussaard, Dean of the School of Art & Design visited four cities in China at the beginning of December, to open dialogue and forge links with some of the "Great Eight" art schools. Marjolijn Brussaard, Dean of the School of Art & Design, visited four cities in China at the beginning of December, to open dialogue and forge links with some of the "Great Eight" art schools. The visits included meetings with various centres of excellence with a view to establish joint research, student and staff mobility as well as the articulation of teaching. The art schools visited are amongst the very best and most established in China including Tsinghua Academy of Art & Design and Central Academy of Fine Art (CAFA) in Beijing, China Academy of Art (CAA) in Hangzhou, Donghua University in Shanghai and Xi'ian Academy of Fine Art. Positive outcomes from the visits included the intention to sign cross-institutional agreements, ring-fencing mobility funds for staff and students from NTU to visit China, and running undergraduate student projects. NTU's School of Art & Design is looking to establish prestigious partnerships in China to create future opportunities for its students to experience this hugely important and exciting region of the world. The Chinese government has identified the creative economy as a focus towards 2020 and NTU's School of Art & Design wishes to play a part in the development of design and the arts through research partnerships and the exchange of knowledge. During the trip, the first gathering of alumni from the School of Art & Design and the School of Architecture, Design and the Built Environment from the region took place in central Shanghai on Friday 5 December. Twelve alumni attended for drinks in the Swissotel and gave accounts of their time at NTU and their careers so far. The group included Jess Zhao (MSc Management and Marketing 1999) who has successfully launched her own fashion label and Jacky Huang (MA Fashion Marketing and Communication 2010) who produces and presents TV programmes across China. The Dean of the School was accompanied by Andrew Plant, Head of International Development for the School, and Yanyan Liao, a PhD student whose research looks at the relationships between art schools in both the UK and China. NTU's School of Art & Design have also recently hosted a training session for counsellors from Hangzhou, China to help them understand creative subject areas in the UK. Fifteen counsellors attended the event, led by Andrew Plant, receiving training on what student portfolios should contain as well as information about the University and what makes it so special for so many Chinese students. 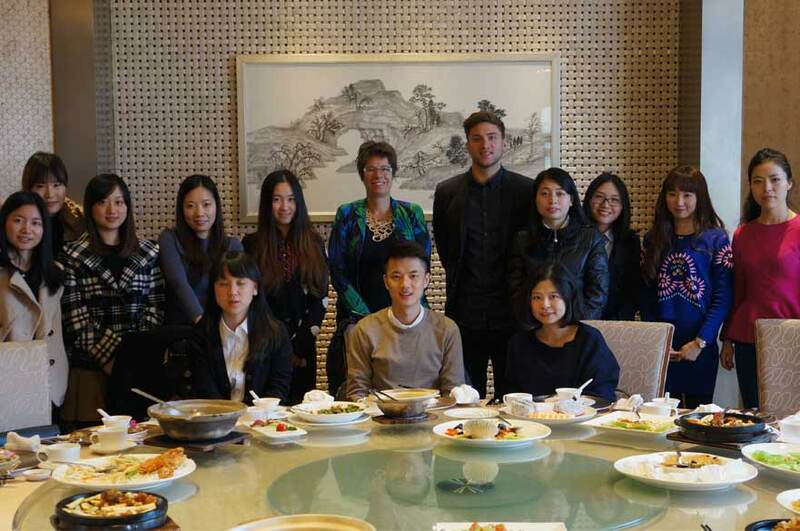 The group were treated to a banquet lunch after the event, hosted by the Dean of the School.